3-D Monster: "Hey Bob, Where Are You Going? You're Supposed to Take Three More Pictures!" "Hey Bob, Where Are You Going? You're Supposed to Take Three More Pictures!" 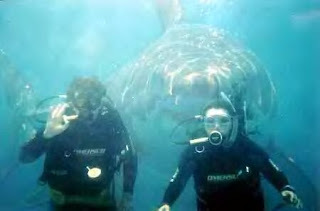 This is why I'm reluctant to scuba dive! Thanks 70's Child!